At River Safari, you can explore eight river habitats from the mighty Mississippi to the majestic Yangtze, and meet river giants and megafishes such as the giant river otter, giant salamander and the critically endangered Mekong giant catfish. Stroll through freshwater galleries and enter walk-through exhibits to learn about the fascinating wildlife in river habitats. 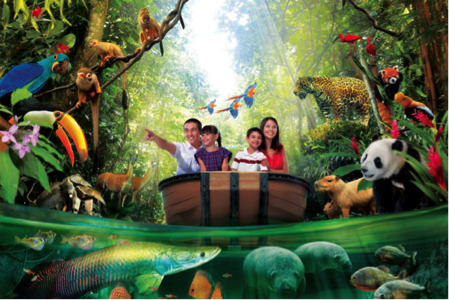 Be amazed by the world's largest freshwater aquarium at the Amazon Flooded Forest, which showcases the annual flooding of the Amazon rainforest with over 18 majestic animal species such as the manatees and arapaimas. 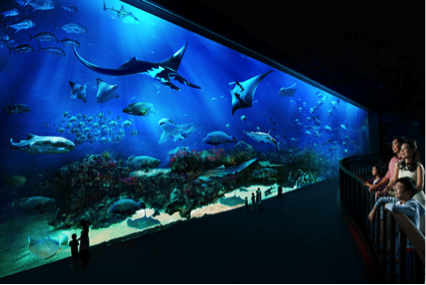 Explore the world’s largest aquarium at S.E.A. Aquarium™ and plunge into wet and wild fun at Adventure Cove Waterpark™. Come discover an action-packed aquatic world and fall in love with the spectacular ocean animals at Marine Life Park™, Resorts World™ Sentosa Singapore! Spanning 101 hectares, this award-winning horticultural attraction houses over 250 thousand rare plants and is just a five-minute walk from the city. 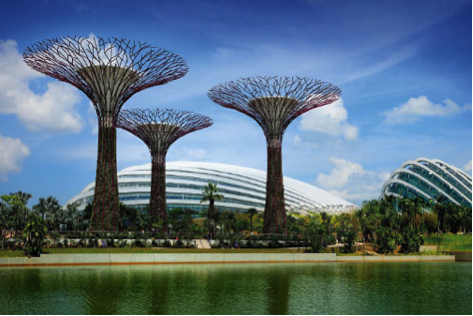 The Gardens comprises three spaces—Bay South, Bay East and Bay Central. From the waterfront promenade, enjoy an amazing view of the Marina Bay financial district skyline. 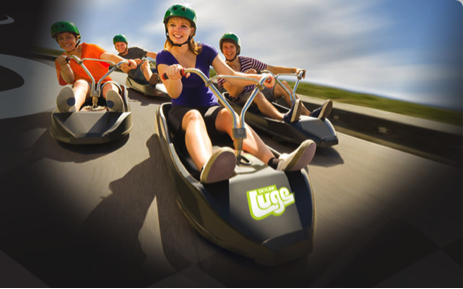 One of the most thrilling places to visit in Sentosa Island, Skyline Luge offers a fun family friendly adventure activity. Navigate down 650 metres of the Jungle Trail or the 688 metre Dragon Trail as thrillingly fast or cruising slow as you like. After the Luge, board the Skyride chairlift and take in the fantastic panoramic scenery of the Singapore city skyline and beautiful coastline of Sentosa Island.